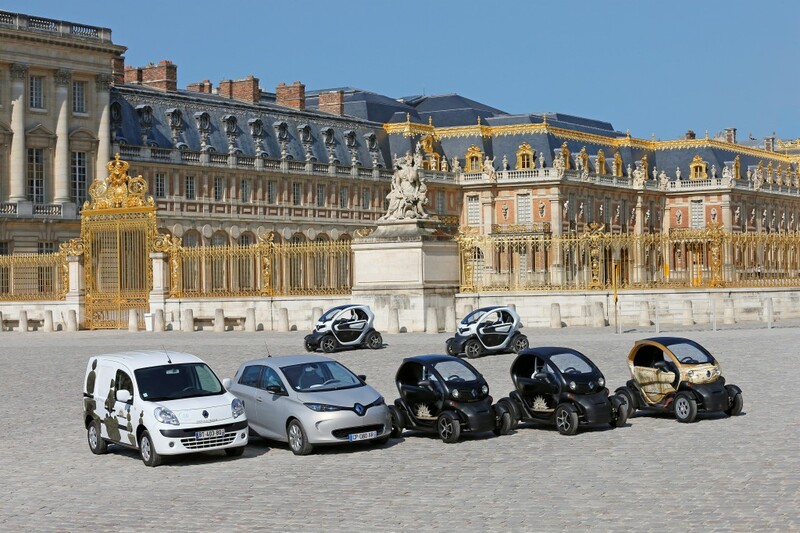 In the XVIIth century, carriages were the only vehicles on the avenues of the Château de Versailles… In 2013, as we celebrate the 400th anniversary of the birth of André Le Nôtre, the gardens he designed have become havens of calm once again thanks to Renault’s electric vehicles. A partnership combining an environmental focus with the comfort and safety of visitors. To mark the 400th anniversary of the birth of André Le Nôtre, the King’s gardener, the château de Versailles wished to restate its concern for the environment and its commitment to sustainable development. One solution came naturally to mind when looking for a mobility solution that could be used for the monitoring of the 43km of gardens, the upkeep of the 350,000 trees in the grounds, and the planting of 300,000 flowers: only all-electric vehicles could ensure the absence of nuisance in the gardens while respecting visitors. Renault is the only manufacturer to market a range of all-electric vehicles, from a quadricycle to an LCV, a saloon and city car. For this reason, Renault and the château de Versailles have decided to develop a partnership that will protect the environment of the gardens and safeguard the comfort and safety of 12 million annual visitors. Twenty-three zero-emission (Z.E.) vehicles will meet the many and varied needs of the domain of Versailles. Three ZOE vehicles are used by service staff to get around the grounds or travel between the national domain of Versailles and Marly; ten Kangoo Z.E. vans, maxi glazed or extended cab versions, are used by the gardeners and curators to carry rare objects, statues, plants and tooling, while ten Twizy quadricycles are used by security staff who appreciate their agile performance in accessing narrow alleyways or when immediate action is required. Around thirty charging stations have been installed around the national domain of Versailles, as part of a careful layout that respects the architectural integrity of the chateau and grounds, i.e. under the lower windows of the Grande Ecurie stables, in the Trianon domain, at Marly and in the Orangery gardens. As a nod to history: curious visitors will be able to see a Twizy that is a little bit special: the “Twizy carriage” featuring the decoration found on the carriage owned by the Dauphin or heir to the throne, the future Louis XVII.